Rajnikanth enjoyed a fruitful association with S.P.Muthuraman, the two of them giving huge commercial hits like Murattu Kaalai and Nallavanukku Nallavan under the AVM banner. Mr.Bhaarath, once again for AVM productions, was one of their less successful ventures. On paper, the movie has all the ingredients for a surefire hit. Apart from the proven Rajnikanth-S.P.Muthuraman combination, it also has Satyaraj, who was proving to be a very popular villain, Ilaiyaraja's music and was based on an Amitabh starrer Trishul, a huge hit in Hindi. Though the first half of the movie is good, a boring second half, capped by a weak climax, affects its overall entertainment value. Bhaarath(Rajnikanth) learns that his mother was cheated and left in the lurch by Gopinath(Satyaraj), who has since then gone on to earn great wealth in the contruction business in Madras. Swearing to make his father publicly admit that Bhaarath was his son, Bhaarath travels to Madras and enters the construction business. Mostly employing dishonest ways, he one-ups Gopinath in the procurement of several contracts and pretty soon, Gopinath comes to recognise him as a worthy adversary. With the help of a teashop owner(Koundamani) and his sister(Viji), Bhaarath also enters Gopinath's personal life, setting up the marriages of both his son(S.V.Sekhar - Wonder what Shashi Kapoor, who played the role in the Hindi version, thought of this choice!) and his daughter. The bulk of the movie is occupied by the business rivalry between Bhaarath and Gopinath and the ways in which Bhaarath wins most of the contracts right from under Gopinath's nose. These segments are handled entertainingly. The way Bhaarath first earns his money and the ploy he uses to bribe a supposedly uncorruptable officer are pretty clever. There is also an element of surprise since Bhaarath also loses one contract(though this sets the stage for his romance later on). The conversations between Rajnikanth and Satyaraj during these segments are well-written. While Gopinath's portion of the dialogs are purely to a business enemy, Bhaarath's portions also include some double entendres about the relationship between Gopinath and him. Both have fun during the Ennammaa Kannu... song, one of the highlights of the movie. It is sung heartily by SPB(for Rajnikanth) and Malaysia Vasudevan(for Satyaraj). Rajnikanth's involvement in Satyaraj's personal life leads to both the best and worst parts of the film. The scene where he plays Kadhiresa Kounder, when Satyaraj comes to fix up the wedding of his daughter, is very well handled. This gives him an oppurtunity to echo the same dialogs that Satyaraj spoke years ago to his mother. There is more fun ahead when Satyaraj returns with his wife, only to find the original Kounder(Visu). Vadivukkarasi's reaction, when she thinks he might be seeing visions, is hilarious. On the other hand, his fixing up the marriage of S.V.Sekhar and Viji leads to the least interesting portions of the movie. For this segment, Rajnikanth plays Mannaaru, a rickshaw driver and alongwith Koundamani and Viji, sets up tent in Satyaraj's house. This segment seems cheap and Viji's dance for Pacha Molagaa... is vulgar and targeted at the front benchers. The sequence also ends rather abruptly and in the end, seems to have achieved nothing at all. 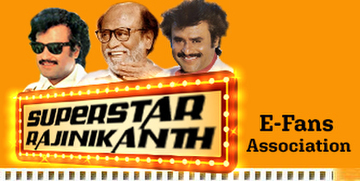 Rajnikanth has perfected the angry, young man role and breezes through the movie. But there is little scope for comedy or romance and he goes through most of the movie with a scowl on his face. Satyaraj's dialog delivery is his strength as a villain and he puts it to good use here, both in the scene where he brushes off Sarada after cheating her and later, when he competes with Rajnikanth. With these two big players, others in the cast scarcely have any screen time. Ambika is the biggest loser, completely disappearing in the second half before reappearing for the climax. Koundamani and S.V.Sekhar have a few funny lines.